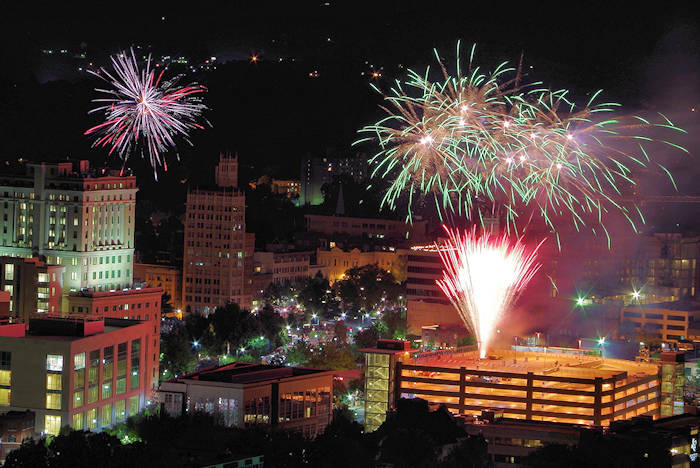 Start the summer season in Asheville during Memorial Day Weekend with many things to do and a big variety of events and festivals. 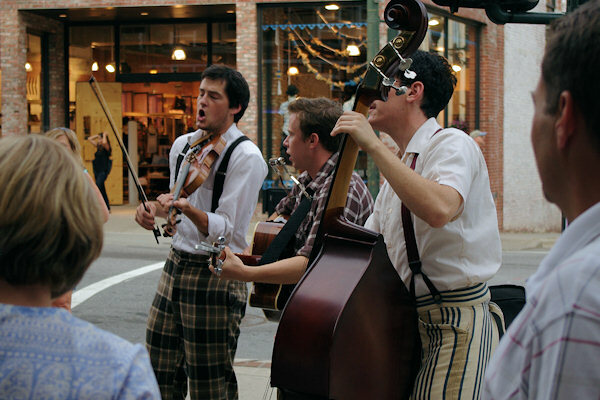 Concerts on the Creek, Sylva: Free outside live music in downtown Sylva 7-9 PM at the Bridge Park (76 Railroad Ave), two blocks from Main Street with shops, restaurants and breweries. Family friendly, bring a chair or blanket. Read more about the concert. Drum Circle: The popular Friday night tradition includes many drummers and dancers in Pritchard Park in downtown Asheville, from 6-10 PM. Read more about the Drum Circle. Hit the trails, zip line, raft, tube and find waterfalls. And that's just a few ideas. 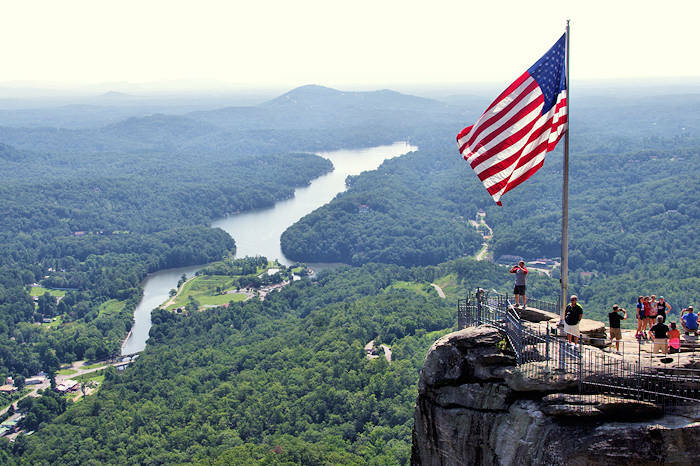 See our Top 70 Outdoors Things to Do including ​​Chimney Rock Park (pic at top of page) and North Carolina Arboretum. Also find plenty of inside fun with our Indoor Things to Do. See our Biltmore Insider's Guide with plenty of tips and the latest ticket offers (save $10 if you purchase tickets online 7 days in advance). And explore thousands of gorgeous acres with many options for outdoor adventures at Biltmore like biking, rafting, Segways, fishing and more. 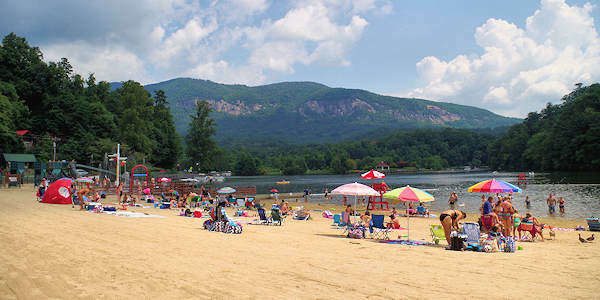 Yes, we have sandy beaches in the mountains - including Lake Lure! See our Top 6 Beaches Near Asheville. 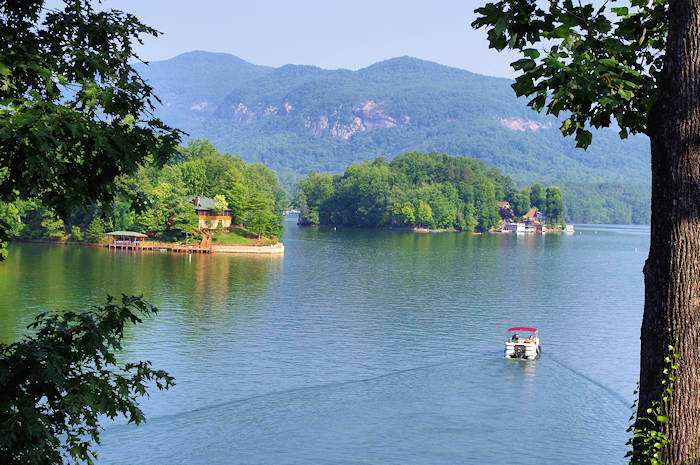 Rumbling Bald Resort kicks off summer on their beach on Lake Lure for their overnight guests with beach parties, cookouts, live music, marshmallow roast and many lake activities. Read about the resort. 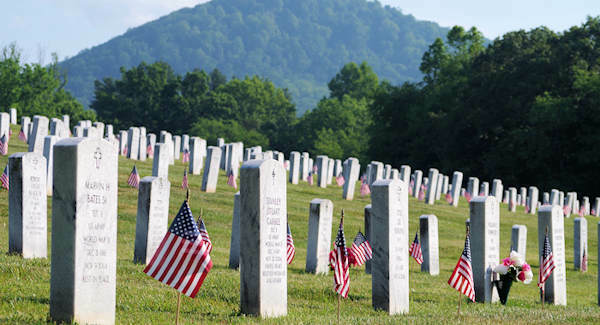 Pay tribute to our heroes at the Western North Carolina State Veterans Cemetery in Black Mountain, with an American flag placed at all 5,700+ graves. A Memorial Day service takes place at 10 AM on Monday. Read more about the Veterans Cemetery.